Can I eat dates (khajoor) during pregnancy? Can I eat dates during pregnancy? Careful eating is important at any time in your life, but it becomes especially important when you are pregnant. The most innocuous of food items can harm your pregnancy, so it is absolutely necessary that you be very careful about what goes inside your body. Take dry fruits, for instance. Normally, they are considered pretty beneficial for the body, and we can eat then willy nilly, any time we please. Things, however, change when you are pregnant. 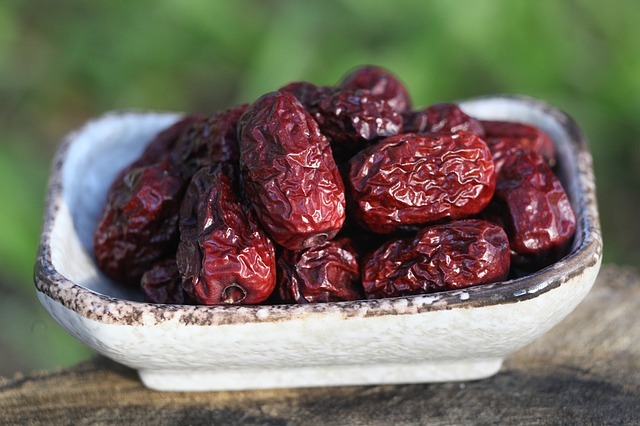 Even something apparently great for you, like dates, can prove to be harmful. But like many things about pregnancy, there are a lot of factors to be taken into consideration. In this article, let us see how many of these facts about dates and pregnancy are, in fact, facts, and how many are simply old wives’ tales. The good news is, most of the research done so far does advocate eating dates during pregnancy, especially toward the end of the third trimester. Let’s see why. Although research varies on this, they difference is in degree and not in terms of accuracy. Most research states that dates do indeed help in easing labor, which is a great boon for most women, especially those who prefer a natural birth for their baby. So how does this happen? Apparently, dates make the uterus more sensitive by increasing the frequency of the contractions. This process is further helped along by the tannin, calcium, and serotonin content of the dates. Moreover, prostaglandins needed for inducing labor are produced by the fatty acids present in dates. The pregnant woman is no stranger to digestive issues ranging from diarrhea to constipation, and the problems increase as the pregnancy advances. Thanks to their high fiber content, dates can effectively decrease such issues by making the stool softer and easier to pass, preventing both constipation and diarrhea. Every pregnancy is different, and every woman behaves differently during her pregnancy. Naturally, maintaining the right weight might become a bit of a problem. However, it is important to maintain the right weight during pregnancy, and dates help you with that. The high fiber content keeps you full for a longer time, and the high sugar content keeps you satiated, so that you don’t feel like reaching for unhealthy foods that can lead to unwanted weight gain. Dates are a great source of multiple important nutrients, including folic acid and vitamin K. Folic acid helps in preventing birth defects, especially defect in the spinal cord and the brain, such as spina bifida. Besides, consuming dates helps in providing the baby with Vitamin K during breastfeeding. Dates are also high in protein, which produce amino acids that help in healthy physical development of the fetus. The magnesium present in dates also help in the development of the baby’s bones and teeth. Dates are high in magnesium content, which is very beneficial not just for the calcium requirement of the baby, but the mother as well. Most women suffer from low calcium during pregnancy, falling at risk of osteoporosis. Eating a couple of dates ever day during the nine months, and increasing the quantity during the final trimester can help with this issue and make bones stronger and less subject to brittleness. Low hemoglobin, also known as anemia, is another issue most women have to battle during pregnancy. Dates are high in iron, which helps in increasing the hemoglobin count in the blood, thus effectively preventing anemia. Besides, the magnesium content in dates also helps in preventing muscle cramps in spasms by boosting muscular health. Dates are full of natural sugars, which means that they are as healthy as they are tasty. They contain all the good things about sugar without any of the toxicity. Once consumed, the break down to release a lot of energy, which becomes increasingly hard to find as the pregnancy advances. Dates are rich in potassium, which is one of the best sources of electrolytes. Potassium helps in maintaining the water/salt balance in the body, which is important to ensure proper functioning of the kidney and regulate blood pressure. Also read: Can I Eat Pineapple During Pregnancy? The common consensus is that dates are quite healthy for both the mother and the baby during pregnancy, especially toward the end. But keep in mind that they must be eaten in moderation, like everything else, especially because they release a lot of heat, and too much can cause complications. Consult your doctor first, and once you get the green signal, consume the recommended limit as smoothies, in your oatmeal, as part of your trail mix, or simply by themselves. 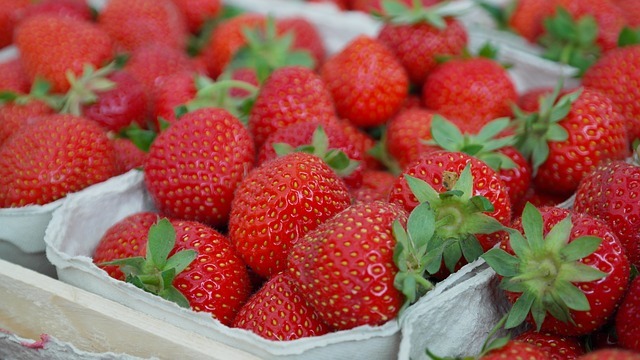 Can I eat strawberries during pregnancy? Can I eat olives during pregnancy?